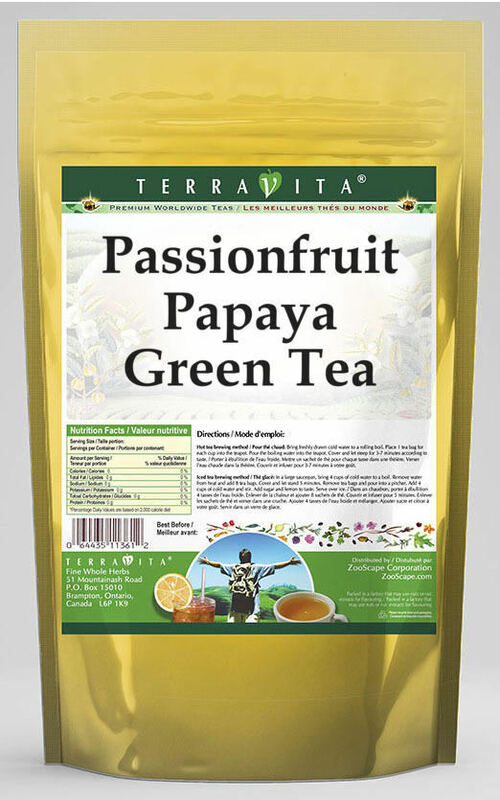 Our Passionfruit Papaya Green Tea is a scrumptuous flavored Green tea with Papaya, Pineapple and Coconut that will refresh you with its terrific taste! You will enjoy the Passionfruit Papaya aroma and flavor again and again! Buy 1 for $9.63Buy 2 / Save $0.51!Buy 3 / Save $1.93! Ingredients: Green tea, Papaya, Pineapple, Coconut and Natural Passionfruit Papaya Flavor.